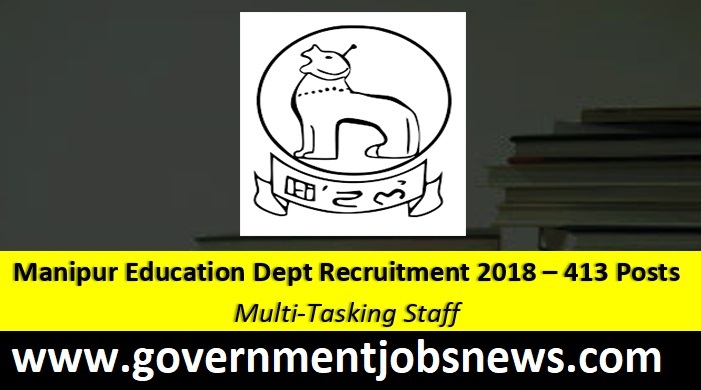 Manipur Education Department Recruitment 2018 is on air with 413 Multi Tasking Staff Posts. 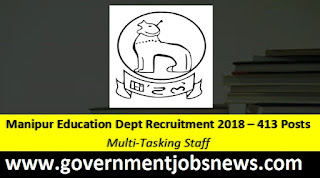 Directorate of Education, Government Of Manipur, Imphal has published a notification for recruitment of Multi Tasking Staff (MTS) vacancies. Interested candidates read vacancy information carefully and apply via offline mode. offline application form for Multi Tasking Staff link available at the end of this Jobs post. Department: Directorate of Education, Government Of Manipur. Manipur Education Department recruitment of MTS. should have passed H.S.L.C/Matriculate from a recognized Institute/Board. should be a domicile of Manipur. Rs 4440-7440+ Grade pay of Rs. 13000 per month. The Eligible candidates can apply online before 15-09-2018.